Royal Caribbean is considerably exposed to economic cycles. I identify four key issues that affect RCL's results. These likely worsen substantially when the economy enters a recession. My valuation of the company suggests that there's substantial upside at current prices. However, I think that's only half the story. I believe the market assigns RCL a higher-than-average discount rate because its performance is tightly linked to macroeconomic factors. 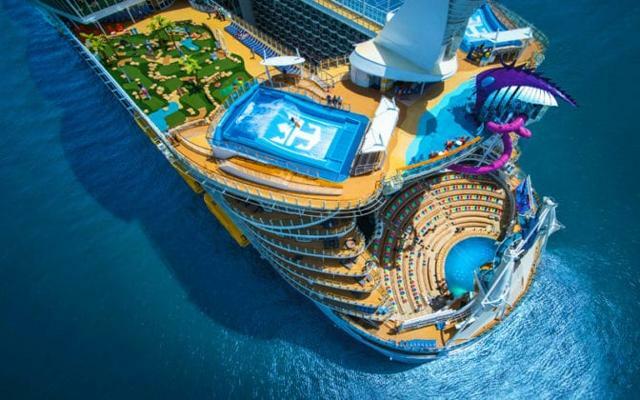 Royal Caribbean is an excellent long-term buy during a recession. It's probably better to wait until it's on sale once again. Royal Caribbean Cruises (NYSE:RCL) is an excellent business with predictable revenues and shareholder-friendly management. Its market is somewhat stable, and it should work well over the long-term. Still, macroeconomic risks and intense need for capital expenditures outweigh these positives. My analysis suggests that RCL has an attractive potential upside at current levels. However, this is only the case because the market appears to be pricing in an economic downturn in the next couple of years. 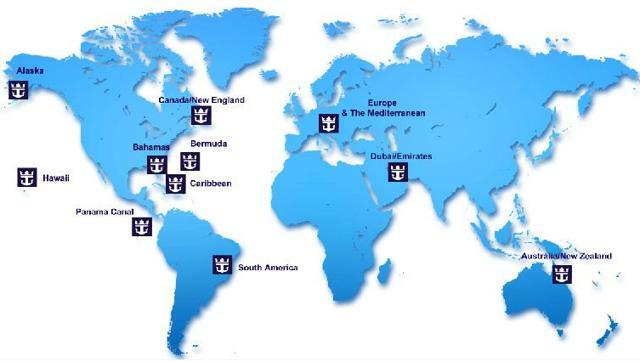 Source: Royal Caribbean brands (missing Silversea). A great company with a diverse portfolio of cruise brands to serve multiple market niches, from mass market to wealthy clients. 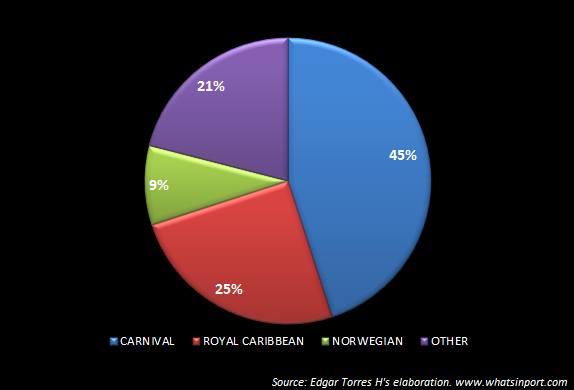 Royal Caribbean operates a well-known brand for vacationers. The company is the second largest cruise operator and has 60 ships that serve over 1,000 destinations, with an aggregate passenger capacity of 135+ thousand berths. RCL operates several brands: Royal Caribbean International (core), Celebrity Cruises, Azamara Club Cruises, and Silversea Cruises. These different brands serve different market niches. For example, the core Royal Caribbean brand aims at a mass market or potential middle-class clients, while, on the other hand, Silversea tries to cater to high-end wealthy clients seeking a luxurious experience. Source: What's In Port. Carnival (CCL) is RCL's biggest competitor. Together, these two are practically a duopoly. The variety within RCL's portfolio provides shareholders with the right amount of diversification and worldwide reach. RCL operates in three primary markets: North America, Europe, and Asia. These three geographic locations account for 47%, 25%, and 25% of total revenues, respectively. I imagine the remaining chunk proceeds from Latin America, but RCL doesn't show the precise figure. Still, on aggregate, RCL's overall growth is roughly 10-15% YoY (over the past few years). Currently, analysts are forecasting that the company will grow its net income at 12.4% over the long term. Source: RCL's 2018 annual report. Both North America and Europe have sluggish growth rates of approximately 2% YoY. However, Asia has performed much better at 31% CAGR from 2014 to 2018. Going forward, RCL's main revenue drivers will be Asia. It seems to me that North America and Europe will grow in tandem with their respective GDPs more or less. RCL has also talked about penetration rates and considers that they're still very low. Most cruise guests are first-timers, which could represent an opportunity for increased profitability. However, I don't see a clear strategy that will materially increase market penetration in the near term. Source: RCL's 2018 annual report (see link above). Still, it's true that both Europe and Asia are still virtually untapped by RCL (at least compared with North America). Thus, it's reasonable to imagine that RCL still has many more years of growth left in it. RCL has issues that could cause the stock to pull back substantially. I've identified four key points: 1) fuel costs, 2) currency risks, and 3) a decrease in sales due to a recession. If you look at all these three risks, they are all broadly correlated with economic cycles. My fourth issue with RCL is that it's a highly capital-intensive business. After all, building fleets and maintaining them requires a considerable amount of cash outflows. These expenditures happen whether or not RCL books passengers for its cruises. This lack of cost flexibility (due to long-term contractual obligations) can compound itself on top of the first three issues I previously mentioned and result in a perfect storm for shareholders. Source: Macrotrends. 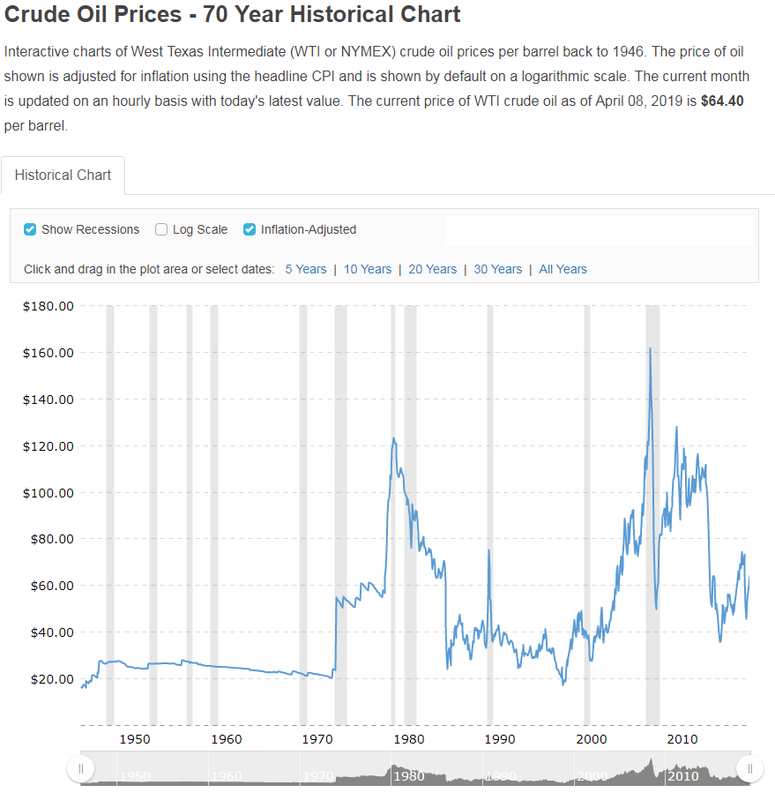 The WTI (Oil) is a good proxy for fuel prices. Fuel is a crucial input in RCL's cost structure and accounted for 7.5% of revenues in 2018. This exposes investors to volatility in fuel prices. A macro slowdown would result in lower sales, and likely currency risks and fuel prices will become an issue then as well. On top of that, RCL's fixed costs are substantial due to fleet maintenance and replacement expenditures. As a consequence, declining revenues will meet rising costs, while capital expenditures remain about the same. Evidently, RCL is hugely exposed to macroeconomic downturns or recessions. Source: StockReports+. I believe this is why RCL trades at a historically low PE ratio. The market is likely pricing in higher-than-usual chances of a recession/economic downturn, which would hurt RCL's prospects substantially. Lastly, RCL often resorts to debt to finance capital expenditures and contractual operations. This is why the company hasn't been able to reduce it. Its debt was approximately $7.7 billion in 2015 and rose to $8.3 billion in 2018. However, contractual obligations are actually more relevant than just debt for RCL. Source: RCL's 2018 annual report. Contractual obligations are in a sense like debt. These are expenditures that must occur at some point. As you can see above, RCL will average about $3.46 billion in contractual obligation over the next five years. For context, in 2018, RCL produced $3.48 billion in operating cash flows. Thus, it's clear that there's not much room to maneuver for RCL at this point, which makes it vulnerable to economic downturns. This is not to say that the company is not a viable investment. After all, as investors, we have to look at the asset and how much cash it produces and compare it against the price of the asset itself. Notice how my valuation suggests that the stock's potential upside is substantial at 33%. However, I believe that what's happening is that the market is discounting the stock's forecasted cash flows at a higher rate than the one suggested by the CAPM. 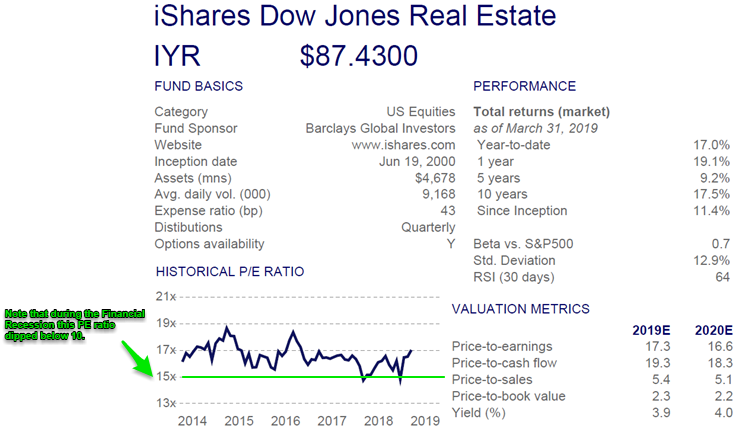 If you solve for the internal rate of return of the forecasted earnings above, the rate is 15.28%. This means that the market is discounting the RCL's stock at a higher-than-average rate. Put differently, the US market's equity risk premium is 4.98%, while RCL's is 9.98%! Source: Job Cruise Ship. Worldwide operations expose investors to currency risks. RCL implements hedges to reduce its exposure, but a big-enough shock could show in the company's bottom line. Is the market overly pessimistic on Royal Caribbean? This is the crux of the issue with RCL. If you merely go by the numbers, you'd think that the market overly discounts RCL. After all, it doesn't seem reasonable to believe that RCL is two times riskier than the rest of the market (measured by the implied equity risk premium of the stock). If so, it'd look like a reasonable contrarian investment. Still, I don't think that's the complete story. The four key issues I previously detailed make this stock very sensitive to economic cycles (much like real state for example). Currently, the consensus seems to be that we're probably late in the economic cycle. This is why it'd make sense for the market to discount these types of stocks at a higher rate. After all, once the downturn occurs, earnings dip and PE ratios spike. Hence, the market is likely contracting the PE multiple already in anticipation of that. Source: Altavista. Notice how the iShares Dow Jones Real State (IYR) ETF trades at a PE ratio of 15-17 in the current macroeconomic environment. Maybe this is RCL's fair PE multiple? In the figure above, you can see how the IYR (which is also tightly linked to economic cycles as well) trades at a higher PE multiple than even RCL (17 vs. 12). This is surprising because RCL's growth rate is almost twice as high (the IYR grows about 5-7% YoY versus RCL's forecasted growth of 12%+). Thus, maybe the housing sector is overvalued right now, or RCL is undervalued, or perhaps a little bit of both. As far as RCL is concerned, we should only focus on the last two mentioned scenarios. In both, the stock should outperform the market over the long term at these prices. Still, when an economic downturn occurs, RCL will probably get sold off substantially. However, if you hold over the long term, you'll probably do better than the stocks long-term average of 7%. When this contraction happens is when the stock will become an attractive investment. For example, you can look at what happened in the fourth quarter of 2018. Then, the Fed was signaling future rate hikes and unwinding of the balance sheet on autopilot. Investors reasonably expected that this could lead to an economic downturn. As a result, everything sold off. Royal Caribbean was no exception. If you think about it, multiples didn't even matter at that point. RCL ended up trading at single-digit PE ratios during the fourth quarter of 2018. Then, it became an attractive investment. Of course, the stock was at a discount because the market was anticipating that the economy would slow down, and therefore, the worst-case scenario for Royal Caribbean would play out. Source: Cruise Fever. RCL's Symphony of The Seas and its third Oasis-class ship. These are RCL's biggest ships with approximately 5,500 berths, and another is expected to enter during Q2 2021. These will only be surpassed by RCL's Icon-class ships which are still in construction until 2022. Whenever an economic downturn occurs, Royal Caribbean stock is probably going to get slaughtered. These pullbacks happen virtually regardless of the stock's multiple because the market prices in the effects of a recession on RCL. Then, multiples should contract even further, likely down to irrational levels. If we use the last pullback as a reference, single-digit PE ratios are a reasonable entry price for RCL. Still, that's assuming that you'll ride out the economic downturn. During late 2018, everyone expected a recession, which didn't happen because the Fed backtracked. However, next time, RCL's drawdown could last much longer. This doesn't mean that the company is overvalued. However, I doubt that RCL will generate returns above 10% over the long term at these prices. Maybe that's your cup of tea, and that's fine. Still, I suggest investors keep Royal Caribbean in their value radars. From time to time, the market gets irrational and offers fantastic discounts. So, when you see RCL trading at single-digit PE ratios, it'll probably be an excellent long-term bet. Until then, I think patience will be more rewarding than RCL.